Apologies this weeks post is a little late but Stuart who was down to provide this weeks ramblings had other things on his mind as his wife gave birth to a little boy. So in his absence it has fallen on me to update the collective on some of the things we have been busy with over the last few days. As part of the "50 Things to do before your 113/4" natural play campaign we are putting a number of activities at Wray Castle to get children started on their adventure towards the fantastic 50. Scrap books and completion stickers will be available at the Castle reception plus a small map of the site with ideas of where at least eight of the "Things" can be completed. There will be an activity area where children can build dens, climb on tree trunks and swing on a rope swing. We have also placed some rustic seating around the castle grounds so visitors can make the most of the views and fantastic surroundings while taking a break from all the excitement. Picnic tables are also dotted round the grounds and we have a small cafe on site if you need to refuel. We should have everything in place for the coming weekend so if you want to call in and let off some steam or just relax and take in the castle and the amazing views it will be great to see you. We know we're getting into the summer season proper when our 'Fix the Fells' camping holidays start getting closer. Mid June we have our first one of these, where 12 hardy volunteers spend four nights camping up on the fells and working with us to help mend upland path erosion during the day. These are always very popular, despite the lack of any proper facilities. So why am I talking about this now? Well, this year we'll be putting in a path across a very boggy area at the top of Stake Pass, above the end of the Langdale valley. We'll be using a technique we first tried a few years ago on Martcrag Moor, close by, which involves building the path on top of sheep fleeces to 'float' it over the bog. It's worked very well, which is great, but it does mean that we have to get rather a lot of sheep fleeces up onto the fell. Luckily, we don't have to carry them up ourselves; a helicopter lifts them up there. But it had left us with a job we've been dreading for a while hanging over us - loading the fleeces into helicopter bags. So by the end of May all these fleeces will be up on the fell and then it's just the small matter of getting them back out of the bags and building the path. Easy! Lost in a sea of fleeces, giant white bags of fleece in front. Once again its been a varied last couple of weeks, with ever changing days and jobs meaning that there is never a dull moment, which is exactly why I enjoy my job! So far this morning we have been delivering blazer logs for the National Trust steam Yacht Gondola. Blazer Log delivery is a job that we do every couple of weeks, taking the logs from our store at Boon Crag down to Pier Cottage where the Gondola sails from throughout the summer. Unloading pallets of Blazer logs with the tractor, what a time saver! In the past the Gondola ran on coal, however coal is a dirty fuel that is not very environmentally friendly and can result in passengers being covered in soot from the funnel. We now use Blazer Logs made up from scrap wood which are far more sustainable than coal as they burn more cleanly, meaning passengers leave the boat soot free. The steam Yacht Gondola moored at Pier Cottage, getting ready for a days sailing on Coniston Water. A small but very enjoyable job last week, involved moving some road signs on a unclassified road (UCR) at Parkamoor on the hills to the East of Coniston Water. The National Trust have been working with the Lake District National Park Authority, South Lakeland District Council and Colton Parish Council to minimise the damage caused by 4x4 vehicles on Parkamoor. The first step was to get the sign for the end of the UCR in the right place. Stuart and myself went up there and moved the signs, re-using an old slate gate post to mount them on, true recycling, using local materials! 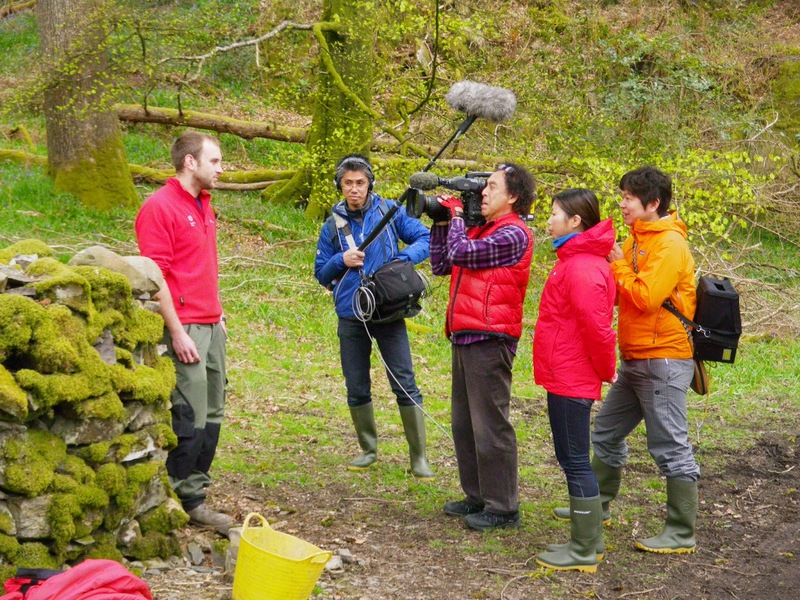 A Japanese TV star of the future? We'll see..
﻿I spent a very enjoyable morning last week filming with NHK television, who were making a 5 part series on Beatrix Potter, the Lake District and the National Trust. Richard and myself went out with the film crew and repaired a drystone wall on the western shores of Windermere, followed by planting a tree next to Little Langdale tarn, all the while we were talking about the work of the National Trust in the countryside and the incredible legacy that Beatrix Potter left for us all to enjoy. With several new staff taking to the great outdoors in 'Ranger Red' here in the South Lakes over the last few weeks, it's fallen to Matt to be the first of the new Rangers to get 'blogging'. Hello all! 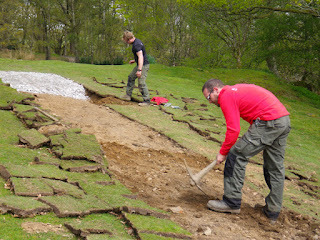 Welcome to my first post as a National Trust Ranger here in Coniston. It’s great to be here in Coniston too. My grandparents were born in Coniston on a small farm called Far End Farm, part of which is now owned by the Trust, so I feel like I’m following in their footsteps, even working on some of the same buildings and land. The first few weeks have been a whirlwind of meeting new people, getting to know my area, working with some of the dedicated volunteer groups and brushing up on some skills I’ve not used for some time! Some of our larger projects underway in the area link to the footpath improvements along Windermere's western shore. We have big plans to make the path running from the ferry landing to the recently opened Wray Castle much easier for people to use, and to make the cakes at Wray Castle Café much easier to access! 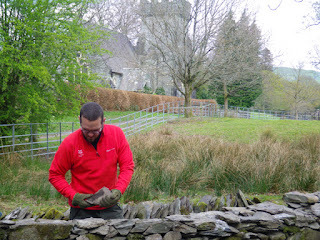 I’ve also had chance to work with our other rangers such as Paul Farrington, and the Volunteer group The Lengthsmen, as I say, brushing up on my dry stone walling. They are all great people to have on your side when it comes to keeping the network of walls in shape. I’m now looking forward to getting cracking with the wide range of projects going on. 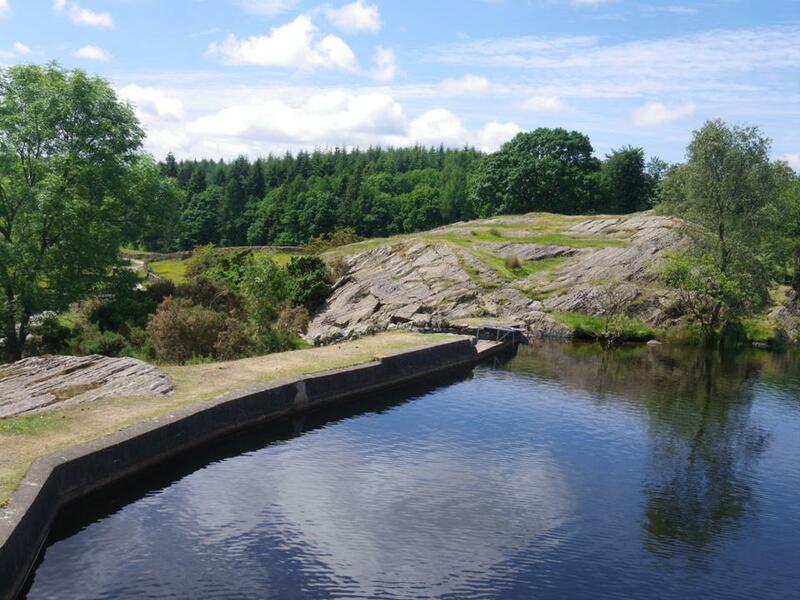 My next step is to plan some improvements to the dam at Moss Eccles Tarn, making sure our dragon flies are not disturbed in the process! Well I’m sure I'll have plenty to keep you up to date with as Spring hits the Lake District so watch this space.